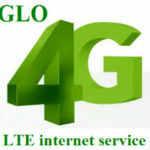 Glo Bumpa is one of the most attractive tariff plans on the Glo network, because of the huge bonus it offers subscribers on every recharge made on their line. The tariff plan offers 200% bonus on every recharge to call any network, amongst other things. You get 3 times the value of every recharge you make, for example if you load N100, you get N300. The 200% used to be only available on Glo Recharge cards, meaning you’ll only get the bonus when you load a scratch card. 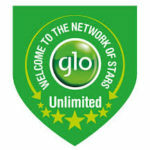 But sometimes last year, the 200% bonus was also extended to recharge made on Glo lined via e-transcaction channels. 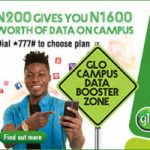 Now if you recharge your Glo line through your ATM, Bank account, other online transaction channels or even the Zoto App, you’ll be given a 200% bonus. When you load a recharge card on your line, every phone call, SMS you send would be deducted from your 200% bonus account and not your main account. It is when you must have exhausted your bonus, that you’ll be charged on your main account. Let’s say you load a N1,000 recharge card and you wish to subscribe for a data plan or any other subscription. You’ll be charged from your main balance and not the bonus account, you’ll be able to use the bonus recharge to make phone calls. 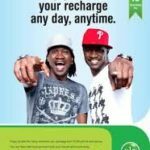 If you recharge your line multiple times within a day, week or month, you’ll be given your 200% bonus multiple times as you recharge your line. There are no limits as to how many times you can receive your bonus recharge. What Are The Call Rates Charges? This is one of the downsides of the plan, it is outrageously high. However, it is still worth it for a 200% bonus on every recharge, it covers for any complaint one might have about it. What is the SMS rate? The SMS rate is same as other tariff plans. 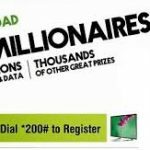 NB: This validity period is on applicable to the 200% bonus account and not the main account. I tried to migrate but whenever i press 1 to confirm it always replies that i don’t have sufficient balance to migrate even when i have #150. How much does it’s charge for migration..?